Regarding his own illegible penmanship, the author of White Fang once said, ‘If typewriters hadn’t been invented by the time I began to write, I doubt if the world would have ever heard of Jack London.’ I, for one, can empathize with that sentiment. While there will always be a nostalgic and creative need for the old-fashioned pen on paper, those of us who wordsmith for a living understand the advantage of a keyboard under our fingers. The days of London’s Remington Standard No. 7 are behind us. The laptops of today are as mighty as a room of mid-century computing power and lighter than a worn copy of War & Peace. Of course, not all great laptops are equal, either. What fits the bill for a graphic designer or gamer may be ill-suited for a writer. Being a writer myself, I’ve researched and detailed the best laptop for freelance writers in 2018. With the slogan ‘In Search of Incredible’, Taiwanese electronics company Asus is the fifth largest manufacturer of personal computers in the world. A bit of a tech legend, Asus engineers once fashioned a motherboard for an Intel 486 processor without the benefit of the processor itself (which hadn’t been released). When Intel then shipped the processor to Asus and the motherboard worked without modification, Asus moved to the top of the list to receive new-release Intel processors. With this anecdote powering its reputation, it’s no surprise that the Asus Zenbook UX330UA received my pick for best laptop for freelance writers in 2018. To begin lining up the competition for the best laptop for freelance writers, I first broke down the comparison into three major categories – Processing & Power, User Functions, and Appearance. ‘Processing and Power’ details the mechanics that drive these sleek, modern machines. The Asus Zenbook UX330UA boasts an 8th Generation Intel i5-8250U Quad Core Kaby Lake Processor. This processor runs at a standard 1.6GHz and is capable of Turbo up to 3.4 GHz. While this is not the most advanced or fastest processor on the market today, the Zenbook packs an awesome amount of power into an incredibly sleek and user-friendly design. It is more than enough juice for a freelance writer either at home or on the go. 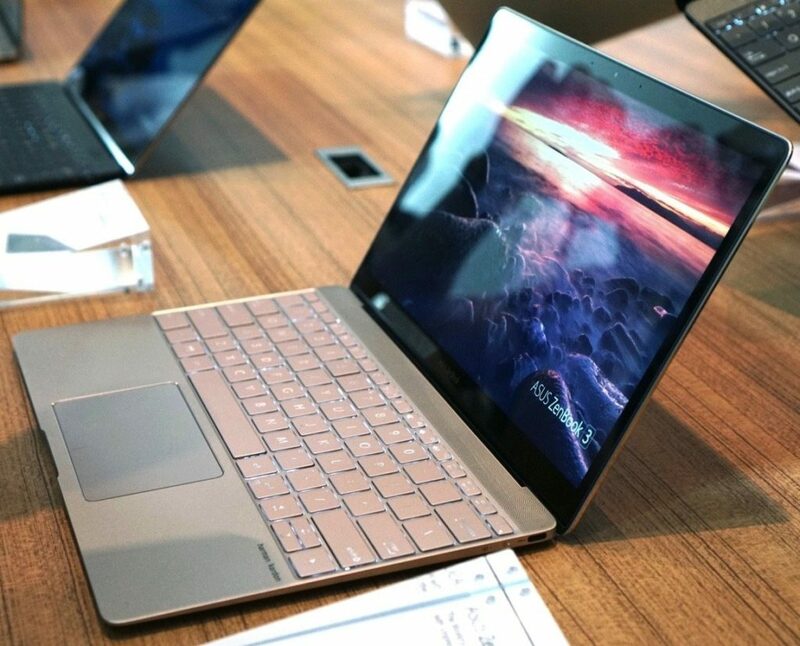 Prepacked with the latest Windows 10 Home 64-Bit operating system, the Asus Zenbook is fully capable of downloading and executing all the applications you could ever need as a freelance writer. 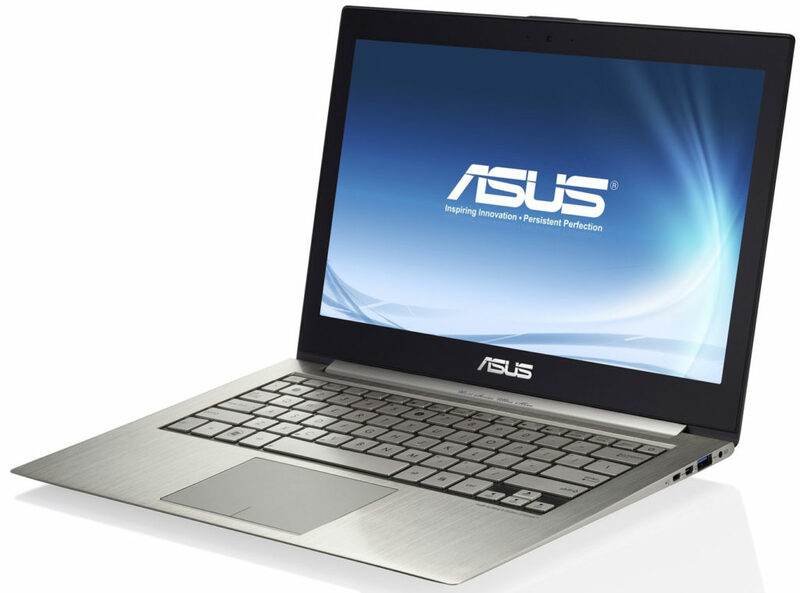 At 256 Gigabytes of storage in its Solid State Drive (SSD), the Asus Zenbook UX330UA rivals almost any other laptop. While there are 512 GB and even 1 Terabyte (TB) laptops on the market today, the capacity of the Zenbook is more than adequate for the needs of even the most high-maintenance freelance writer. If you ever find yourself maxing out the internal storage capacities, external hard drives, flash drives, and cloud-based storage are excellent places to stash large files. Random Access Memory (RAM) is basically the measure of a computer’s capacity to multi-task. In other words, it is the volume of computing it can manage simultaneously. The Asus Zenbook’s 8 GB of RAM furthers my claim that it is the best laptop for freelance writers. To be honest, while they make for impressive credentials, the Asus Zenbook’s processing and power may be somewhat wasted on the freelance writer. 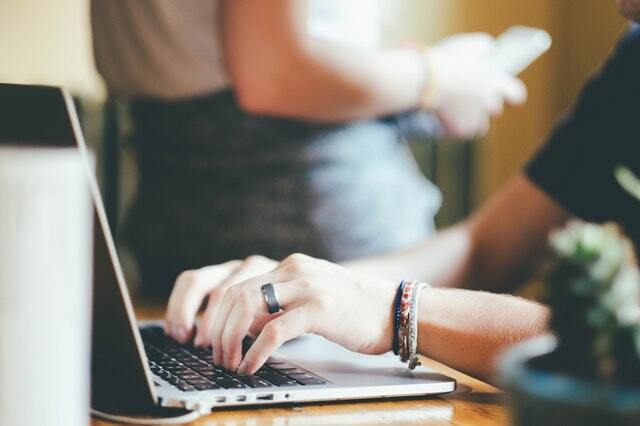 The shopper searching for the best laptop for freelance writers is much more likely to be concerned with aspects like keyboard responsiveness and battery life. Let’s take a closer look at the Asus Zenbook UX330UA’s user functions. While Asus makes a Zenbook with a touchscreen, the model we are investigating today doesn’t come with one. The Asus Zenbook UX330UA has a 13.3” Full HD screen with 1920 x 1080 pixel max screen resolution. It goes without saying that the keyboard is of huge importance when considering the best laptop for freelance writers. The ergonomic design of the Asus Zenbook UX330UA’s full-sized keyboard benefits the typist spending consecutive hours at the keys. It is backlit to enhance visibility in locations such as a red-eye flight. The slight curve of the keys themselves helps to guide accurate typing. The keys are extremely responsive, enabling typing speeds of 80 – 100 words per minute. The Asus Zenbook UX330UA comes with a high-end sound system by Harman Kardon. This may come in handy to listen to some inspiring music or receive clear calls from clients or editors. The laptop is accessible by a fingerprint scanner. This slick feature increases protection and accessibility on the road. Finally, the Zenbook comes with two USB 3.0 ports. This enables the user to simultaneously use an external mouse and a flash or external hard drive. The lithium-ion battery included with the Asus Zenbook is capable of 12 hours of use on a single charge. This is enough juice for a day and a half of coffee-house composing or one trans-Atlantic flight. At 2.6 lbs, the Asus is by far the lightest laptop in our review. It is also only ½ inch thick. With total dimensions of 12.7” x 8.7” x 0.5”, the Asus Zenbook UX330UA is an incredibly light and compact laptop. This dynamic portability is crucial when considering the best laptop for freelance writers. The brushed metal finish of the Asus Zenbook is reminiscent of Apple’s highly popular Macbook Air. It is a subtle yet elegant machine. Even the best laptop for freelance writers has a few shortcomings. Let’s examine two of them. The Asus Zenbook only has 2 USB ports. If you always use one for an external mouse, this can prove limiting. However, the Zenbook also has a USB-C port (like the newer Android Smartphones). You can use an adapter to turn this into a third USB port if needed. One of the weight-saving strategies that Asus uses is to exclude a fan to cool down the CPU. Since the laptop is so thin, the heat simply radiates from the bottom of the machine itself. While this is effective for keeping the device cool, it can prove uncomfortably hot if you actually put the laptop on your lap. In 1984, Michael Dell founded ‘PCs Limited’ out of his Freshman dorm room at the University of Texas – Austin. Eight years later, Michael Dell was listed as the youngest CEO in Fortune Magazine’s list of 500 corporations (Fortune’s 500). Today his company is called ‘Dell Technologies’. It is one of the largest suppliers of information technologies (including computers, servers, smartphones, and security services) in the world. The Dell XPS 13 has gone through many iterations. The model I am using for this comparison is the Dell XPS 13 9360. The Dell XPS 13 9360 has a 7th Gen Intel i5 7200U Dual-Core Kaby Lake Processor. This model has an initial speed of 2.5 GHz with a turbo up to 3.1 GHz. Like the processor for our winner, the Asus Zenbook, this technology packs more than enough punch for freelance writing. Like the Zenbook, the Dell XPS has a Windows 10 Home 64-Bit Operating System. This ubiquitous OS enables the avid freelance writer to download a host of useful cutting-edge applications. At 128 GB SSD, the hard drive of the Dell XPS 13 is only half the size of the best laptop for freelance writers listed above. That said, this capacity is lavish compared to the technology of five years ago and is more than adequate for any programs a freelancer might use. 8 GB RAM is a generous amount of Random Access Memory to allow for multiple applications to run simultaneously. Now that we’ve seen how well the hardware of the Dell XPS 13 stacks up to the Asus Zenbook, let’s examine the Dell’s other features. Like the Asus Zenbook, the screen for the Dell XPS 13 is 13.3” diagonally. The 1920 x 1080 pixel 4K screen allows for some stunning visuals. Here, however, we find the first major distinction between these top contenders for the best laptop for freelance writers. The Dell XPS 13 is a touchscreen. The Full HD Anti-Glare InfinityEdge Touchscreen brings the high-resolution image to within ¼” of the edge of the laptop. The technology allows for fluid motion across the touchscreen all the way to the edge of the image. While freelance writers may not have as much use for touchscreens as other users, this function can come in very handy for editing and annotating. With the right program, you can put editing marks straight onto the document with the touch of your finger. The large responsive keyboard encourages accurate typing, and the ergonomic design allows for hours of use with minimal fatigue. Chiclet-style keys have very responsive tactile feedback, ensuring fast typing speeds. The rubber, soft-touch palm rest is comfortable and discourages interference with the track-pad. The Dell XPS 13 also comes equipped with an adjustable backlit keyboard. Novice typists can turn the backlight up for better key identification. Advanced keyboardists can power it down for decreased distraction. 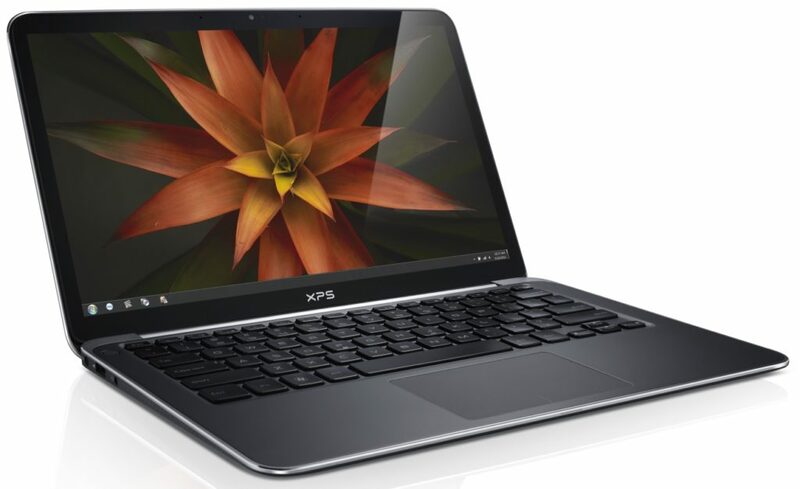 The Dell XPS 13 presents the user with numerous cutting-edge features. The camera is mounted at the base of the screen instead of the top. This provides a better and more flattering vantage point for a webcam and increases accuracy for facial recognition (another of Dell’s formidable features). A four-mic array increases performance for vocal commands and improves clarity for calls/webinars. The battery has an average life of 10 hours. While this is significantly less than the Asus Zenbook, the Dell XPS still has a reputable battery-life. If you’re ever concerned about running out of juice on a journey, consider buying a second battery or a portable rapid charger. The Dell XPS is 2.9 lbs. At 12” x 7.9” x 0.5” it is slightly shorter and a touch heavier than the Asus Zenbook. Style has always been a hallmark of Dell technology. As the flagship laptop for the entire Dell empire, the Dell XPS 13 remains a beautiful piece of equipment. The 2018 model comes in a stunning Alpine White finish. While the Dell XPS 13 has many similarities to the Asus Zenbook, several design issues stand out. The speakers for the 2018 Dell XPS 13 are on the bottom of the machine. While this helps the overall visual aesthetic, this can prove problematic depending on how you have the laptop set up. 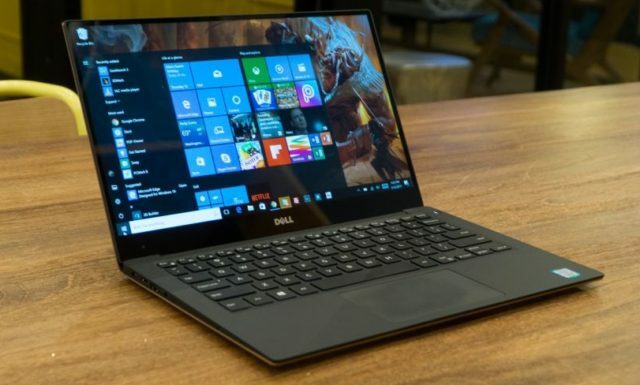 As the term suggests, some users of the Dell XPS 13 with InfinityEdge Touchscreen users report that the screen responds as if it has been touched when it has not. This experience can be minimized by keeping the screen clean. You can also manipulate the touchscreen’s sensitivity. However, turning it down too low can result in a frustrating level of unresponsiveness. Like our pick for the best laptop for freelance writers, the winner for the best budget laptop is produced by a Taiwanese corporation. Founded in 1976 by current president and chairman Stan Shih, Acer, Inc. began as a small producer of electronic parts and a consultant in the use of microprocessors. 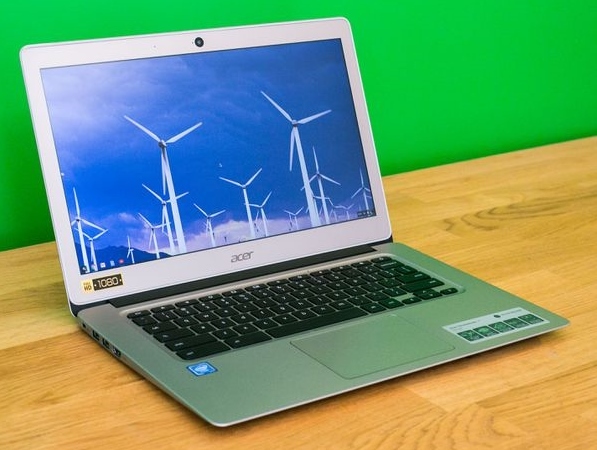 It is currently the sixth largest producer of personal computers in the world, including our pick for best budget laptop for freelance writers, the Acer Chromebook 14. Compared to our top two contenders, the Acer Chromebook 14 has relatively modest stats when it comes to processing and power. That said, considering it only has ¼ the price tag of the Asus Zenbook or Dell XPS 13, the Acer Chromebook is an impressive machine. The Acer Chromebook 14 is powered by a Celeron N3160 Quad Core processor. While it is still made by Intel, the Celeron line is engineered to be installed in lower-cost personal computers. Considering the low-end processor, the Chromebook still performs at an impressive 1.6 GHz with bursts (turbo) up to 2.24 GHz. 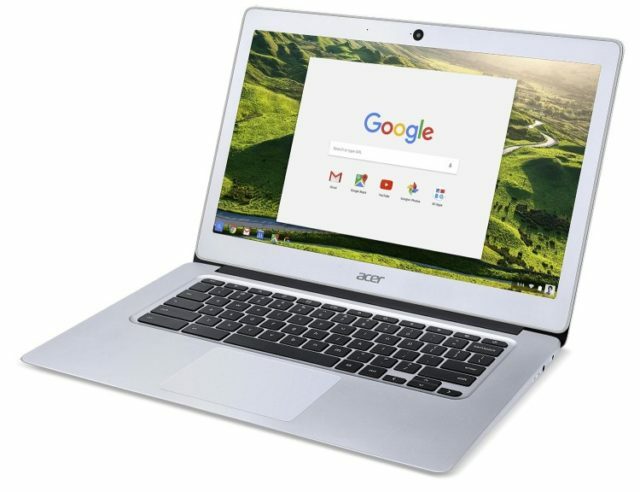 As the name Chromebook implies, the Acer Chromebook 14 employs a Google Chrome operating system. If you are currently used to the Microsoft operating systems employed by the majority of producers, this is an important distinction. While Google products hold their own against the more seasoned competitor, there is a learning curve when switching OS producers. The Acer Chromebook 14 has only 32 GB of disk space (storage capacity). This is a fraction of the hard drive space provided by our top two contenders and a major factor in the Chromebook’s affordability. While this is a significant limitation, it’s also easily sidestepped by the purchase of external storage. At 4GB RAM, the Acer is capable of only ½ the simultaneous processing of either the Asus or the Dell. While the processing and power of the Acer Chromebook 14 are significantly inferior to the Asus or the Dell, the user functions are still very appealing. For this reason, the Acer is a much better bargain buy than either of the more expensive machines. The 14 in the name Acer Chromebook 14 refers to the impressive 14-inch diagonal screen. This is larger than either of the more expensive laptops. Like the Asus, the screen is not a touchscreen. It is a full HD ComfyView Widescreen IPS LED-backlight display. With the same 1920 x 1080 pixel resolution as the other two PCs, it presents a stunning visual. The keyboard of the Acer Chromebook 14 is the equal of the Asus Zenbook and the Dell XPS 13. The curved, hard-plastic keys provide the right balance of responsiveness and ergonomics. Unfortunately, the bargain-built Chromebook does not have a backlit keyboard. The Acer Chromebook 14 has several other handy features to benefit the mobile writer. Like the Asus Zenbook it has a pair of USB 3.0 ports. This type of USB port is up to five times as fast as its predecessor, the USB 2.0 port. The Chromebook is also Wi Fi and Bluetooth compatible, presenting a variety of connectivity options. A 3-Cell Li-Polymer Battery powers the Acer Chromebook 14, providing an impressive 12 hours of battery life to this affordable laptop. Aluminum construction keeps the weight to 3.4 pounds, only 1 pound heavier than our top contender. At 13.4″ x 9.3″ x 0.7″, the Acer is bigger than either of the top two competitors, but still small enough to fit into a briefcase, satchel, or large shoulder-bag. The same 100% aluminum chassis that allows the Acer Chromebook 14 its light weight also gives it a sleek, stylish look. It may be an economy laptop, but no one sitting across the table at the coffee shop needs to know that. Obviously, this less-expensive laptop has some limitations. Let’s look at two specific ones. Some users report that the trackpad of the Acer Chromebook 14 fails after a significant amount of use. If you’re like me and prefer an external mouse (even on the road), this won’t overly concern you. There appears to be a small but notable contingent of Acer Chromebook 14 users who have issues with the product’s durability and consistency. One of the recurring complaints is that the screen will flicker when the laptop is using its battery. Sometimes the flickering will cease without developing into a more severe issue. Sometimes it will result in the entire laptop restarting. If you’re a freelancer like me or just someone who prefers to take their technology on the road, you understand the importance of a dependable laptop that fits your needs. Without a doubt, technology will continue to advance at a breakneck rate. Every few years it is necessary for us to raise our heads above the trenches, look around at the latest releases, and re-up our tech. Many writers aren’t interested in the cutting edge of technology. These men and women want a reliable device that they are comfortable operating so that they can focus on their craft. For this lot, I recommend the Acer Chromebook 14. It’s a dependable, no-frills piece of hardware that will get the job done. Others get excited by the newest thing out there – something that outperforms last year’s best. Or maybe they’re just aiming to get a few more years out of their tech before they need to reinvest in a new machine. For this second group, I give a nod to both the and the Dell XPS 13 (from which I’ve personally gotten years of performance). Whatever laptop you choose this year, don’t get too wrapped up in the tech. These are phenomenal tools to help us create and to store our scribbles, but the real magic isn’t in the hardware. Keep imagining, keep writing, and send something my way someday. Q: Is it a mistake to save money by buying a refurbished laptop? The biggest potential drawback in purchasing refurbished hardware is the reduced or absent manufacturer warranty. In my opinion, its worth the extra money to buy new tech. If your finances don’t allow the newest thing out there, consider a budget buy like the Acer Chromebook 14. Q: Why are there so many versions of the (seemingly) same laptop on Amazon? Ironically, technology can be a very frustrating thing to buy online. There is a different Amazon page for each year’s release, subtle differences in the model, and refurbished vs. new machines. Considering the hefty price tags for PCs, if you’re unsure what you’re buying, go into a store like Best Buy and consult with an industry professional before purchasing. Need home wireless to go with that new laptop? Check out my article on the Best Home Wireless Router System for 2018. This entry was posted in In Depth Product Reviews and tagged laptop, Tech. Bookmark the permalink.